​Lab outing to Cherry Creek Reservoir: Boating, walleye fishing and picnic! ​We are up and running! The fish like their new Colorado home, they already forgot all about Eugene! The Nichols Lab was accepted into the Molecular Biology Program in the University of Colorado School of Medicine! We will be accepting rotation students in the Spring. The Nichols Lab was accepted into the Cell Biology, Stem Cells and Development Graduate Program in the University of Colorado School of Medicine! We will be accepting rotation students in the Spring. ​The first Nichols Lab outing, Monster Jam at the Pepsi Center! 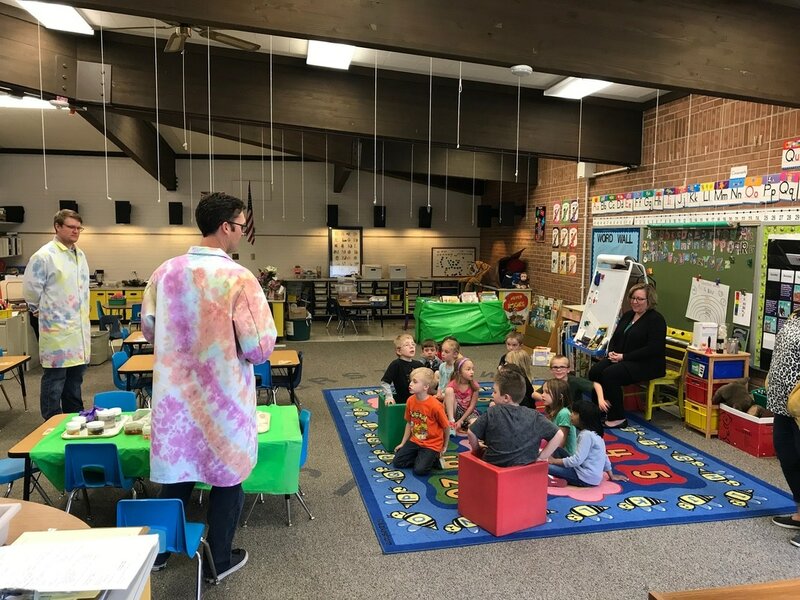 The Nichols lab brought fishy science into the local Kindergarten! The budding scientists were full of great ideas.